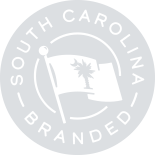 Keep scrolling to see who took home their very own Brandy from the 2017 SC Branded Awards Ceremony. This award winner was determined by popular vote after the three finalists were chosen. Nominations have closed. Winners were announced at the Award Program on November 2nd, 2017.